A rare snowstorm has swept into the Saudi Arabian desert turning the sand white as the Middle East is hit by a freak Polar Blast. Incredible photos show the Tabuk region in the north-west, known for its blazing heat, covered in a blanket of snow as temperatures plummeted below freezing. Other bizarre pictures even show camels with their humps covered in snow, while near-deserted landscapes have been left covered in flakes. The freak weather is totally unexpected with temperatures normally hitting around 20C - traditionally the cold season in the Arab country. In Tabuk, forecasters said temperatures had dipped to -2C. On Saturday Morocco, gateway to the Sahara Desert North Africa witnessed nearly 1 million people in danger from temperatures as low as -7° C and heavy snow heavy snow and unusual, extreme cold weather for January cut off thousands from major transport routes in Morocco's High and Middle Atlas regions, raising the risk of food shortages and dangerous living conditions for the affected communities. 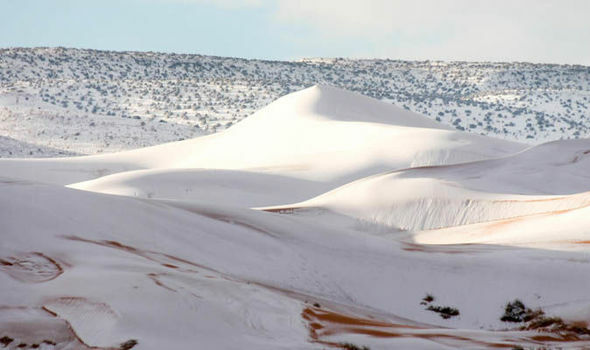 Two weeks ago Sahara desert witnessed snowfall for the first time in 50 years! 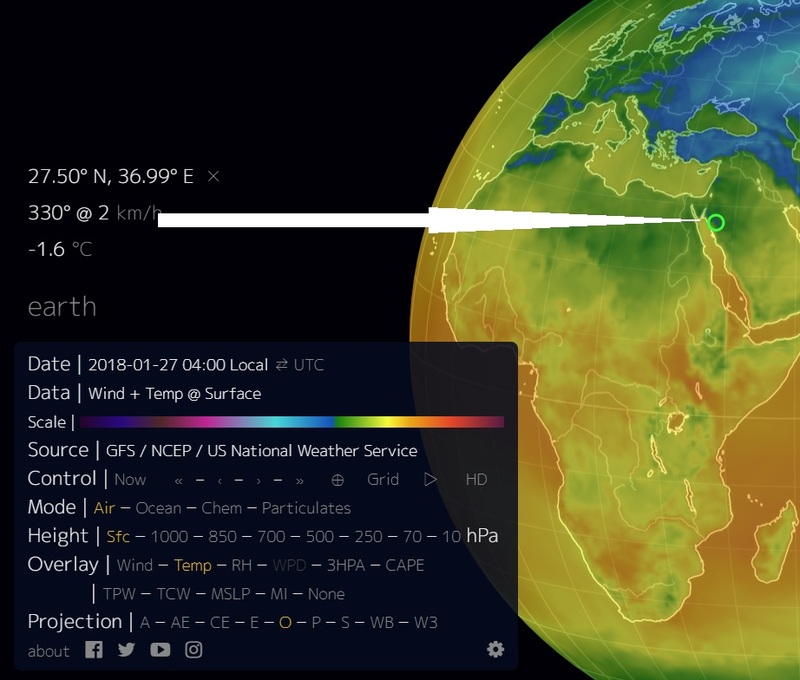 Temperatures in the summer can reach 40 deg C Ain Sefra, Algeria, known as the gateway to the Sahara desert but was covered in the white stuff.